‘Tis the season for Holiday Greetings! 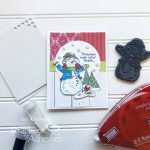 Making and giving handmade holiday cards enables you to spread holiday spirit, reconnect with friends and family. 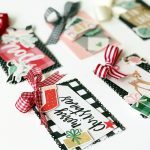 DIY cards let everyone know you care! Spend a little time making the holidays meaningful by sharing you own unique and special works of art with others. 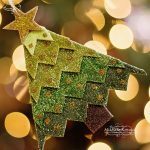 We offer you a creative collection of inspiring tutorials and ideas for Christmas and Holiday cards, gift ideas, ornaments and more, check out all the options below! 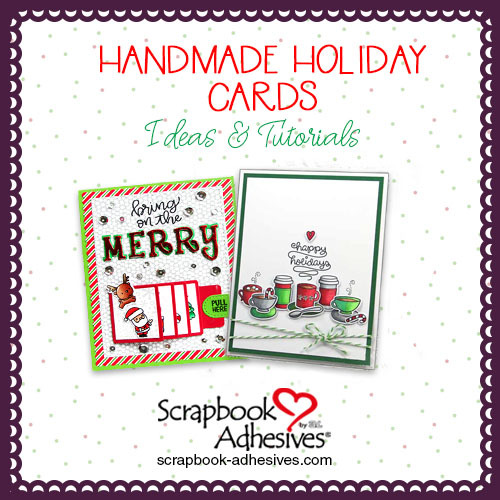 We have a vast and diverse collection of holiday cards and crafts on our blog. 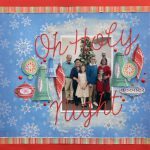 Our talented design team members have tutorials and inspiration for Christmas and Holiday cards, along with scrapbook pages, gift ideas and home decor to share with you. We hope you enjoy them, and be sure to Pin your favorites so you can come back to them later. 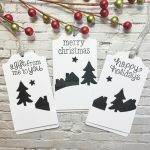 From simple to advanced, we offer a huge selection of holiday card making ideas, techniques and tutorials. 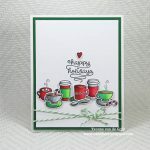 Grab a snack and spend some time reviewing all the card inspiration. Be sure to tag us on social media when you use our tutorials or products, we’d love to see your crafts! 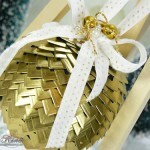 We offer some festive ways to use your craft supplies to embellish your home! Add a little sparkle and shine to fit your style. 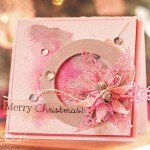 Boring ole gift tags just won’t do when you can whip up a set to make a package sparkle. 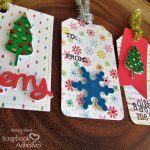 Hint: handmade tags make a great hostess gift for a holiday party, a little something for a friend, or a even a special teacher! It was merry, but did you take pictures? 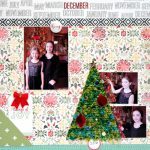 Be sure to scrap them so you have a record of the festivities, traditions, family, friends and the fun you had. You won’t believe how much the kids have grown since last year! Want to save these ideas for later? Pin this! 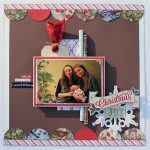 This entry was posted in Announcement, Cards, Crafts & Tutorials, Gifts, Home Decor, Scrapbook Page, Scrapbooking, Seasonal Craft Ideas, Tutorial, Winter and tagged Card, Christmas, Gift Tag, Holiday, Ornament, Scrapbook Page. Bookmark the permalink.